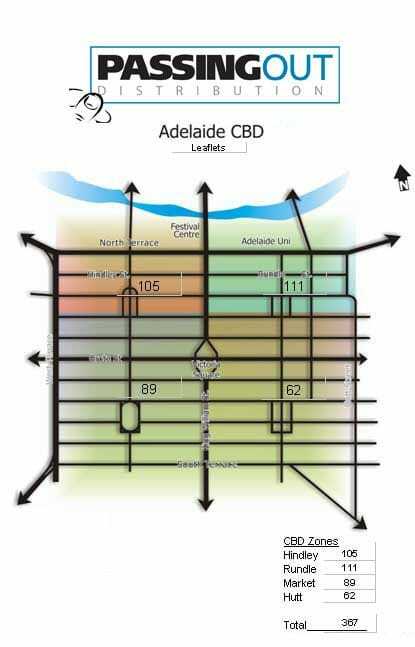 Passing Out has an extensive distribution database across the Adelaide CBD and suburbs from the Barossa Valley to McLaren Vale. 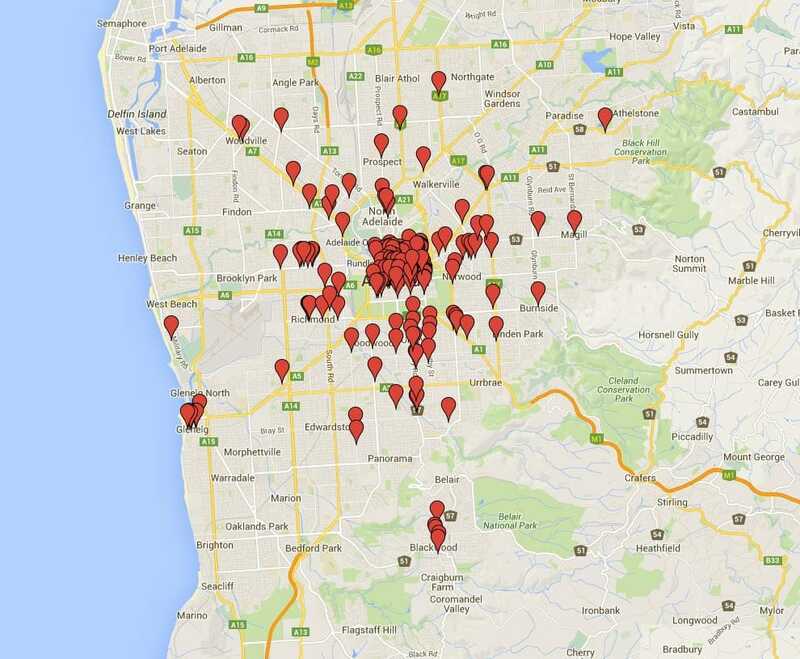 We cover more than 3000 outlets on a regular basis. 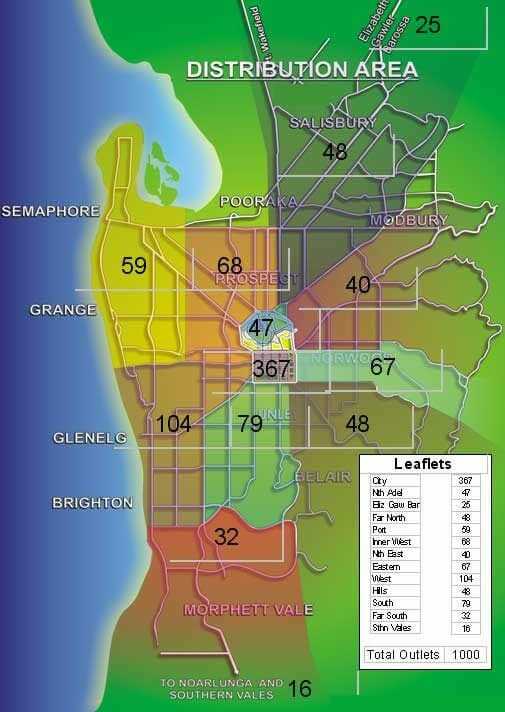 Please click on one of the maps below for more information and to see our distribution outlets by business type. Click on the above image for an interactive map.